The Summerhouse gives you a great view of your garden whilst at the same time providing the comfort that you expect from a quality summerhouse. Double doors, a large opening window and dual glazed panels allow plenty of light in. An optional verandah gives you the opportunity to mellow in the warm summer air. It adds 650mm to the length. 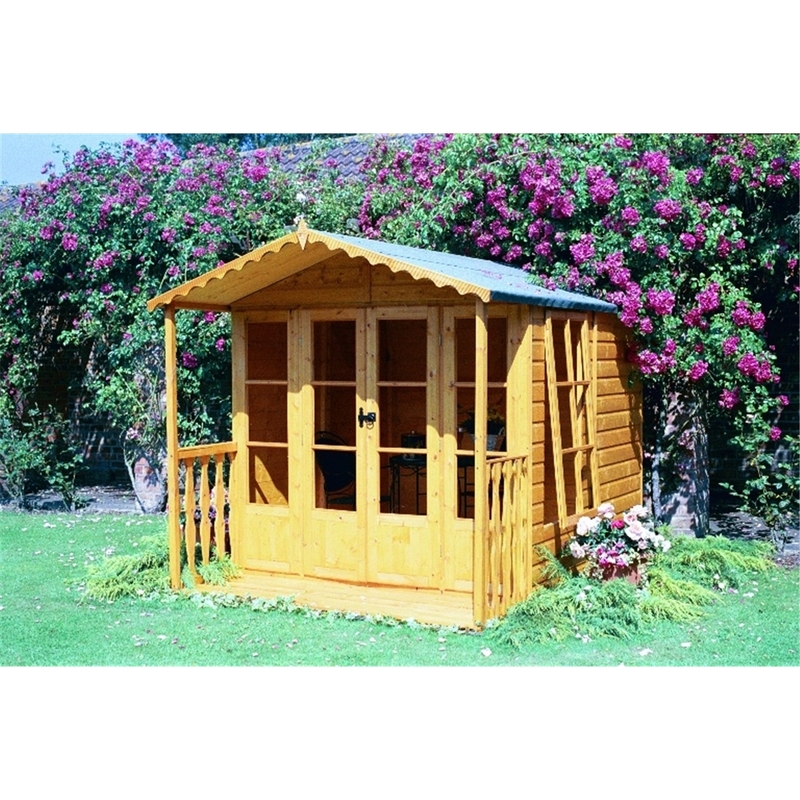 This Summerhouse is made from a high grade ship-lap tongue and groove construction - this is distinguished from fast grown type timber used on cheaper sheds from other manufactures.